Olivia Colman was crowned queen of the Oscars as she beat Glenn Close to the best actress prize. 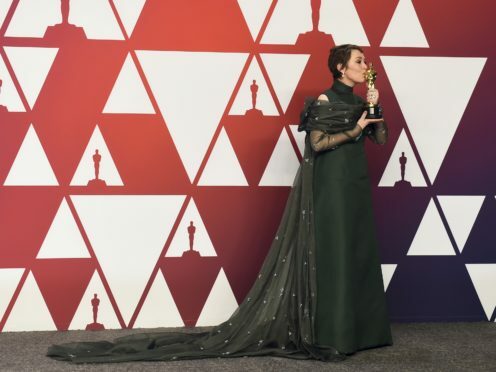 The star of The Favourite triumphed over The Wife’s Close, as well as Lady Gaga, Melissa McCarthy and Yalitza Aparicio for an unexpected win at the ceremony, where Green Book was named best picture. Colman was visibly shocked as her name was called and was helped to her feet by her husband Ed Sinclair and co-star Emma Stone, who planted a kiss on her cheek. Taking to the stage, she said: “It’s genuinely quite stressful. This is hilarious. I got an Oscar! "Any little girl that's practicing her speech on the telly, you never know." Paying tribute to her director Yorgos Lanthimos as well as Stone and fellow co-star Rachel Weisz, she added: “Yorgos, my best director and the best film, and with Emma and Rachel, the two loveliest women in the world to fall in love with, and to go to work with every day, I mean, you can imagine, it wasn’t a hardship. She added that she hoped her children were watching and said: “If you’re not, then, well done, but I sort of hope you are. This is not going to happen again. The film about a black jazz musician and a white driver travelling through the segregated US deep south also won the best supporting actor Oscar for Mahershala Ali, as well as best original screenplay. Rami Malek was named best actor for his role as Freddie Mercury in the Queen biopic Bohemian Rhapsody and planted a passionate kiss on the lips of his girlfriend and co-star Lucy Boynton before making his way to the stage. 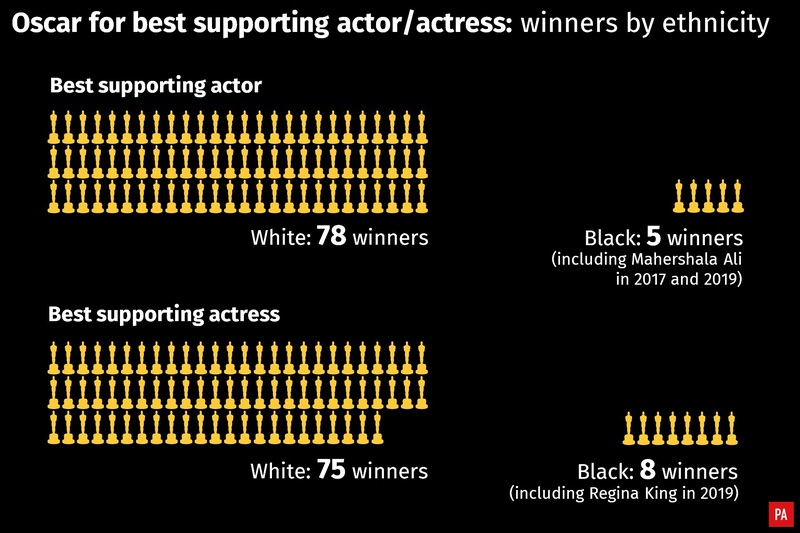 Regina King took the best supporting actress prize for her role in If Beale Street Could talk, leading to the most diverse group of acting winners in the history of the Oscars. Shallow from A Star Is Born was named best original song and Lady Gaga addressed her director and co-star Bradley Cooper as she collected the gong, saying: “Bradley, there is not a single person who could have sang this song with me but you. Thank you for believing in me. “If you are at home sitting on your couch and watching this now, all I can say is this is hard work. “I’ve worked hard for a long time. This is not about winning, what it’s about is not giving up. If you have a dream fight for it. Cooper and Gaga also performed the song at the ceremony, with the pair looking intently into each other’s eyes during the duet before Cooper sat next to her at the piano. History was made earlier in the night when Ruth Carter became the first black winner to collect the best costume design prize, while Hannah Beachler became the first black winner of the production design gong, both for their work on Black Panther. The Marvel superhero movie was also recognised for its original score. "As artists, our job is to look where others don't.This responsibility becomes much more important in times when we are being encouraged to look away. The black-and-white, Spanish-language film Roma won three prizes, collecting the best director prize for Alfonso Cuaron, best cinematography, also for Cuaron, and best foreign language film. Bohemian Rhapsody was the most awarded film at the ceremony, with prizes for Malek, film editing, sound mixing and sound editing.